Like the Wipe Out or Ninja Warrior game seen on TV? 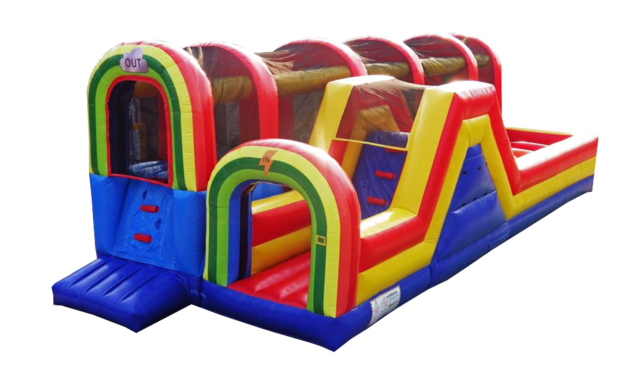 Try our Hop N’ Rock Inflatable Obstacle Course. It’s the ultimate challenge for your coordination and reflexes. Start with a wall climb, go down the slide, run through the massive vertical obstacle poles and jump over the horizontal poles. Not finished yet – here comes another wall climb, leading to the ultimate challenge of jumping through three giant Hop N’ Rock balls. With its slippery vinyl surface and inflatable bounciness, it gives you no chance of staying still. Your instant body coordination and reflexes are the key to success. 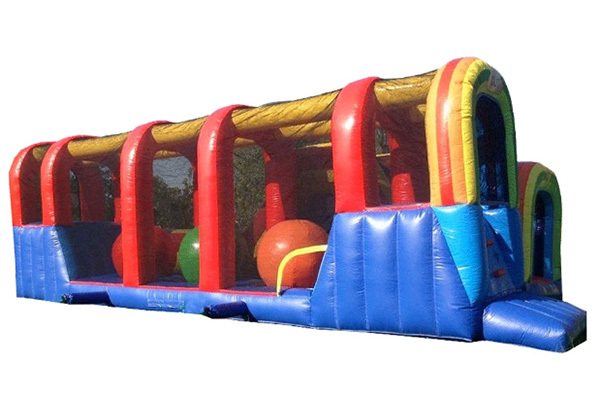 Don't forget that we offer toddler bounce houses, inflatable Slides and interactive games... to take your event to the next level. Important: This unit use 3 blowers, the rental price includes a generator of at least 6250watts.